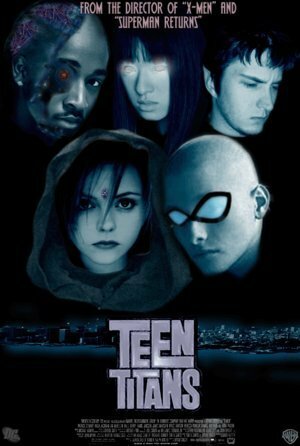 Teen Titans movie. i think this is the new live action TT movie. Wallpaper and background images in the teen titans club tagged: teen titans raven robin starfire cyborg beast boy. This teen titans photo might contain tanda, poster, teks, papan tulis, anime, komik, manga, and kartun.